and Get an Insightful Intro to the City! 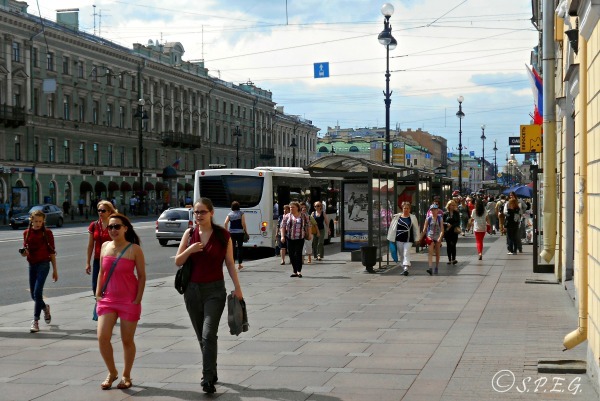 St Petersburg walking tours provide you with a unique way to see the city, stretch your legs, and have fun. There's really no better way to get to know a city than to take a walking tour. 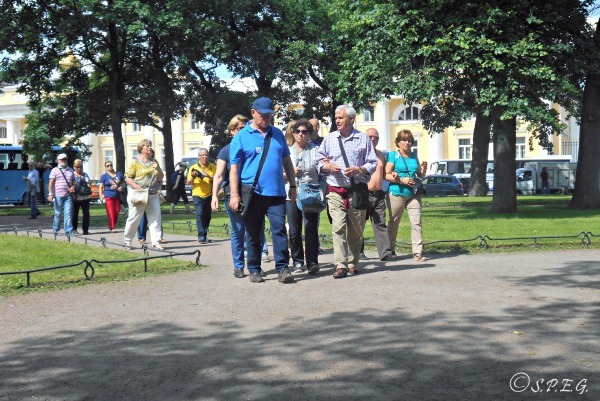 Walking tours are the most fun way to learn about the city of St Petersburg. And, if you combine a vehicle with a walking tour, even better as you get the chance to see more in a short period of time without getting tired. When you take a walking tour you are accompanied by a local guide who knows the city inside and out. A tour guide can give you a cool insightful intro to St Petersburg's secrets, famous characters, architecture, art, culture and history. And if you've very limited time, it can save you time and nerves as it can arrange entrance tickets to museums beforehand and let you skip the line. There are many different tours to choose from: historical tours, tours at night, specific tours of monuments and museums, and tours that cover all of the best of Russia's Northern Capital. 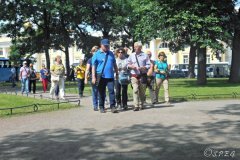 If, like us, you prefer not to follow the hordes, but wish to get close to the sights and landmarks of the city without being caught in a stiff tour schedule with large groups, then our informative and entertaining St Petersburg Walking Tours listed on this page can be a great way to start your sightseeing day. Take a look below at our list of most interesting waking tours. To learn more, just click on the links. Find your way around the imperial city and learn about the classic monuments, churches and buildings first-hand in this essential Downtown Walking Tour of St Petersburg. Enjoy a stroll along the famous Nevsky Prospekt and experience the cultural highlights of the city and the daily life of Russians together with one of our local guides and have fun. Itinerary: You'll meet with one of our local guides at your hotel and then start walking along Nevsky Prospekt and around the city center. During the tour you'll also step inside the House of Books and Elisseeff Emporium to buy a Russian souvenir or taste a Russian cake. Sights covered on the tour: Vosstaniya Square; Beloselsky-Belozersky Palace; Anichkov Bridge; Anichkov Palace; Elisseeff Emporium; Ostrovsky Square; Alexandrinsky Theatre; National Library of Russia; Gostiny Dvor; Saint Petersburg City Duma; St. Catherine Catholic Church; House of Book; Kazan Cathedral; Stroganov Palace; Kotomin House; Admiralty; Palace Square. Options: You can combine this tour with a visit to St Isaac's Cathedral, the Church on the Spilled Blood, the Hermitage or Kazan Cathedral. Ideal for: Couples, friends, families with kids and small or large groups of people interested in getting a general overview of the central part of the city in a short time. Note: A short trip by bus or metro might be necessary in order to cover some of the places on the tour. Otherwise we can also organize a private service transport. Entrance Tickets (in case you wish to visit a museum). 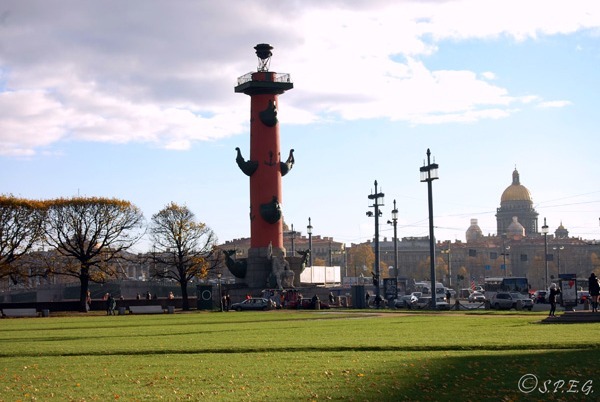 With a trained historical guide step back in time to the past of St. Petersburg with our Historical Walking Tour and enjoy an insight into Petersburg's life between 1917 and 1991. Walk through the places where the fiery 1917 October Revolution or the grim 900 days of the Leningrad Siege took place, and discover intriguing sites from its communist past while learning what many travel guides will never tell you. Itinerary: You'll meet with one of our local guides at the hotel and then start walking along specific historical spots in and around the city. Sights covered on the tour: Hero City Obelisk; Kirov Museum Apartment; Lenin Memorial Museum; Finland Railway Station; Monument to the Fallen Fighters of the Revolution; Museum of the Defense and Siege of Leningrad; Piskariovskoye Memorial Cemetery; Monument to the Heroic Defenders of Leningrad; Memorial to Victims of Political Repression. 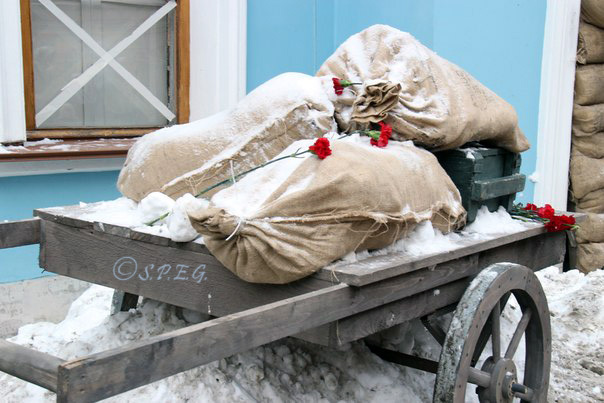 Options: You can choose from the following historical tours: the Red Revolution Tour or the Siege of Leningrad Tour. Ideal for: Couples, friends, family with kids and small or large groups of people interested in Russian history and politics. You’ve traveled to St. Petersburg. You have limited time. And it’s pouring outside. Don’t lie on the bed in your hotel room. Choose one of these Indoor Walking Tours and get through some of the best museums of the imperial city with an expert local guide. Enjoy a blend of history, art and architecture in just a few hours. Discover a place of your particular interest, go shopping and take photos. Itinerary: You'll meet with one of our local guides at your hotel and then visit one of the most interesting and famous museums in St Petersburg. Sights covered on the tour: Hermitage State Museum; Peter and Paul Fortress and Museum of the History of St Petersburg; State Russian Museum; Yusupov Palace; St Nicholas Cathedral; Ethnographic Museum; Faberge Museum; Kunstkamera; Museum of Political History. Options: You can choose from different museums and combine with a visit to a local food market, Russian cafe or antique shop, just ask. Ideal for: Couples, friends, families with kids and small or large groups of people interested in a specific topic or place related to Russian culture, art, history and architecture. When the rain is over and the sun comes out there is nothing better than taking a pleasant stroll through the countless gardens and parks of St. Petersburg. If you want to explore the green side of the "city of love", as Russian people often call it, then take one of these Outdoor Walking Tours and enjoy a few hours strolling and relaxing along the famous rivers and canals or the beautiful gardens and parks of the city. Itinerary: You'll meet with one of our local guides at your hotel and then start walking in the most beautiful parks in St Petersburg or along the most famous rivers and canals. Sights covered on the tour: Moika River; Griboedov Canal; Fontanka River; Elagin Island; Summer Garden; Mikhailovsky Garden; Bank Bridge; Kazan Cathedral; Church of Our Savior on the Spilled Blood; Lion Bridge; Field of Mars; Mariinsky Palace; Pochtamtsky Bridge; Blue Bridge; Lomonosov Bridge; Tauride Garden; Moscow Victory Park; Botanical Garden and Park; Peterhof Park; Catherine Park; Pavlovsk Park. Options: You can choose from the following tours: walking tour in the parks or walking tour along the rivers and canals. Ideal for: Couples, friends, families with kids and small or large groups of people looking to spend a relaxing day covering the mostly green sides of the city. Cross Palace Bridge and explore on foot the beautiful Vasilievsky Island, the largest island of the city. Book this tour and get a wonderful view of our version of the Venice of the North from the famous Spit of Vasilievsky Island. Stroll along the embankment of the Neva River and wander around the pedestrian lined streets of the island while admiring outstanding cultural and institutional sites. Itinerary: You'll meet with one of our local guides at your hotel or your place of stay and then start your walking tour of Vasilievsky Island. 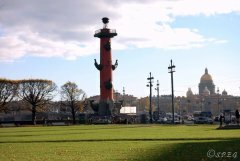 Sights covered on the tour: Rostral Columns; the Warehouse; Pushkin House; Old Saint Petersburg Stock Exchange; Zoological Museum; Kunstkammer; Twelve Collegia; Monument to Lomonosov; St. Andrew's Cathedral; Academy of Arts; St Petersburg State University. 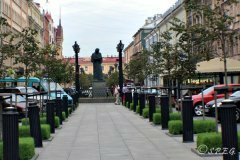 Options: You can combine this tour with a visit to the Kunstkammer Museum, Zoological Museum, Pushkin House, Erarta Museum as well as a stop at a local food market or Russian cafe. Ideal for: Couples, friends, families with kids and small or large groups of people interested in seeing another part of the city. Enjoy this one-of-a-kind tour into the incandescent world of Russian literature. Go beyond the standard tourist itineraries by walking in the footsteps of everyday life and work of some of Russia’s greatest writers, such as Lev Tolstoy, Alexander Pushkin, Anna Akhmatova, Nikolay Gogol or Fyodor Dostoevsky. Visit their soviet homes or flats, monuments and graves and have fun. Itinerary: You'll meet with one of our local guides at your hotel and then start walking on the avenues that have inspired some Russian poets and writers to place the characters of great works including: “Bronze Horseman”, “The Queen of Spades” and “Crime and Punishment” into its setting. Along the way, you'll also visit your favorite artist's house museum and learn about their intriguing life and work. Sights covered on the tour: Vladimir Nabokov House Museum; Angleterre Hotel; Bronze Horseman; Monument to Vasily Zhukovsky; Pushkin Apartment Museum; Monument to Alexander Pushkin; Moika Embankment; Griboedova Canal; Museum of Anna Akhmatova in Fountain House; Dostoyevsky House Museum; several literature Monuments and Statues. Options: You can combine this tour with a visit to the following main writer's house museums: Alexander Pushkin House, Dostoyevsky House, Museum of Anna Akhmatova, the House of Nabokov. If you want, at the end of the tour you can have lunch or dinner at the Literary Cafe on the corner of Nevsky Prospekt. Ideal for: Couples, friends, families with kids and small or large groups of people interested in the history of Russian literature. 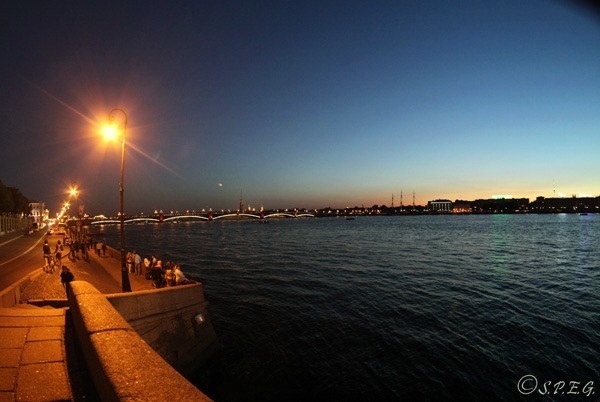 Experience the romance and charm of St Petersburg at night by going on a night walking tour. Take a stroll down Nevsky Prospekt to the Palace Embankment to see the Winter Palace and its surrounding area marvelously lit up. Stop at the Palace embankment and watch some of the popular bridges rise up. See the ships go through the open bridges and enjoy a unique nocturnal atmosphere. Itinerary: Along with one of our local guides you will walk from your hotel to Palace bridge along the famous Nevsky Prospekt. Once you're are at the Palace Embankment you'll be waiting for the rise of the drawbridges, take photos and enjoy the fireworks. Sights covered on the tour: Nevsky Prospekt; Palace Square; Winter Palace; Winter Canal; Hermitage Bridge; Hermitage Theatre; Vladimir Palace; Marble Palace. Options: We can organize private transport from/to your hotel to the most famous draw- bridges in St. Petersburg later at night. Ideal for: Couples, friends, families with kids and small or large groups of people interested to enjoy a pleasant and entertaining night time walk in the city center. Group Size: (1-4 People); (1-8 People); (1-12 People); Min. 2 People, Max up to 12. Exclusions: Headphones, Tips to the guide. Whatever your interest - visiting the trendiest fashion boutiques, the Hermitage or anything you can think of - we will work with you to create a unique itinerary for you and your group. Together we can design a Custom Walking Tour for your family, friends or group that you're sure to enjoy and remember for long time. 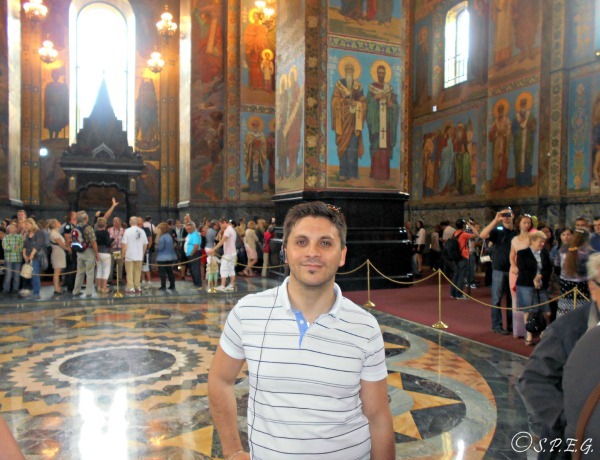 Your personal tour guide can go anywhere in St Petersburg and beyond. 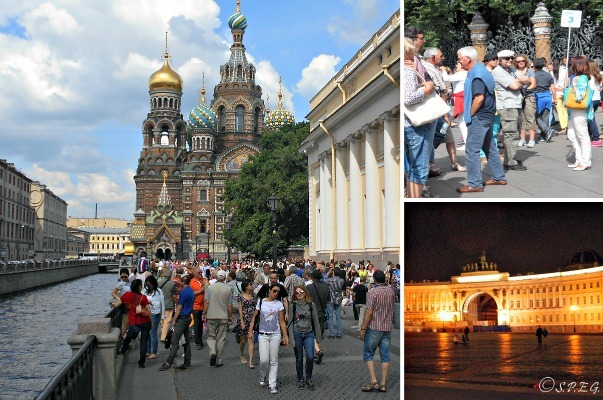 Our St Petersburg Walking Tours are affordable and can be scheduled for anytime. Itinerary: We design a tour itinerary based on your interests before you arrive. Sights covered on the tour: Personal choice. Options: You can combine your walking tour with anything you like. Ideal for: Couples, friends, families with kids and small or large groups of people interested in touring the city individually and at their own leisurely pace.